Workers at Poljoprerada in Hrvatski Leskovac, desperate due to lack of reaction from state institutions, have sent an appeal to the media asking for urgent intervention to save both people and animals. The workers are asking for a concrete plan to take care of 103 employees at the edge of existence, who have not been paid since January and their social security contributions have not been paid for the last two years. They also demand food for the animals. 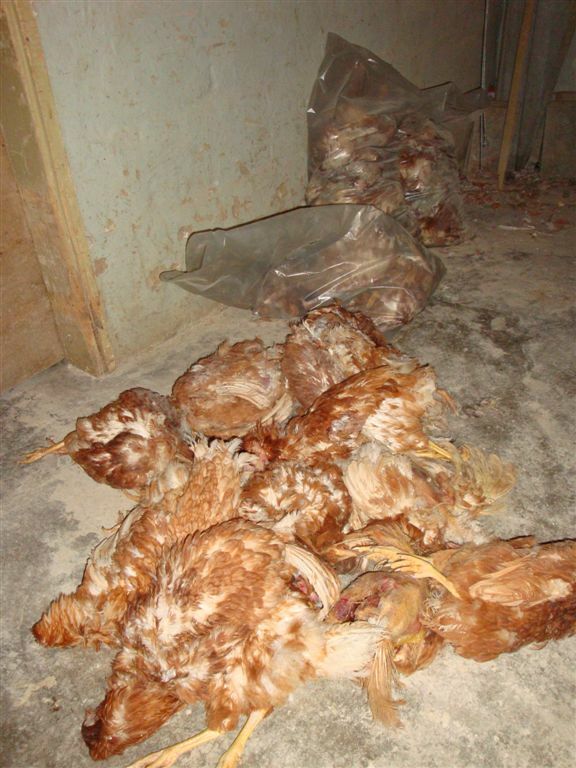 In Brezovica (former Agrokoka facilities) there are two hen farms with about 40,000 laying hens and about 24,000 four weeks old chickens, which have continuously been starving since last fall. Poljoprerada also has two leased farms, one in Klostar Ivanic and the other in Donja Bistra. The situation on those farms is probably similar, although workers of Poljoprerada have no knowledge of the condition of those animals. On all farms there is a total of 150,000 hens and chickens who are suffering in inconceivable conditions of outdated battery farming. Animal Friends has visited the farm in Brezovica and documented the horrors which these unfortunate animals are going through. 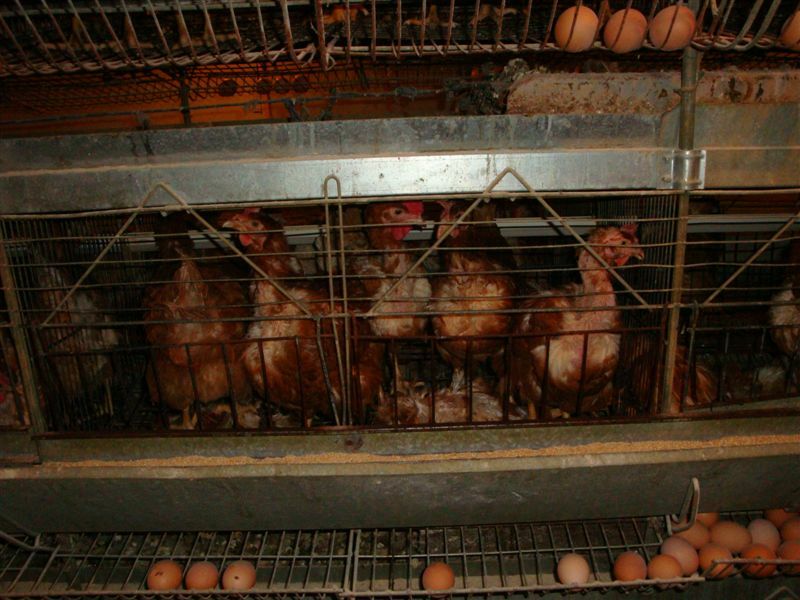 Since last fall hens and chickend are fed minimal amounts of food every few days, barely enough to keep them alive. The situation culminated this February, since the interval between two feedings has been increased from seven to ten days because the workers are no longer receiving food for the animals. 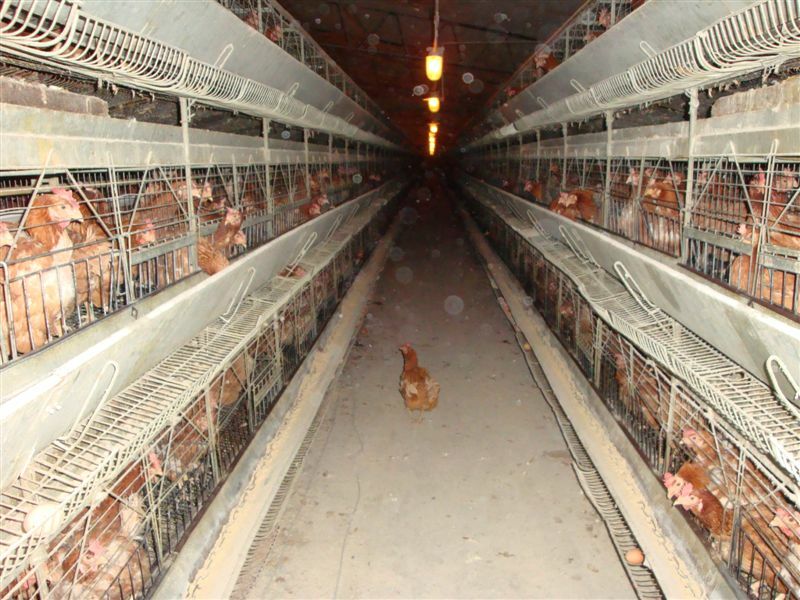 Starving hens are pecking each other, "screaming," walk over each other. 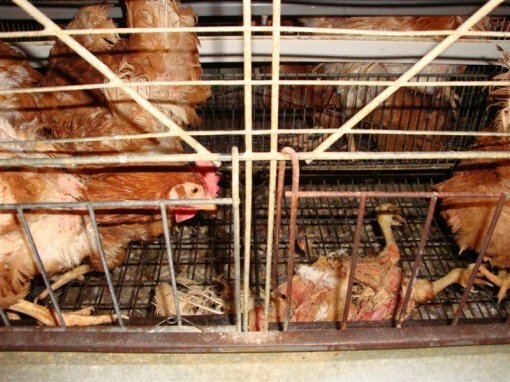 Workers pull dead hens from the cages on a daily basis. They reduce the amount of light because the exhausted animals are resorting to canibalism. The desperate workers can no longer watch the hens, driven crazy by confinement in tiny cages and a constant lack of food, suffering and dying. Hens have been fed a minimal amount of food yesterday and today, but it is still uncertain if their next meal will ever come or they will start dying massively. Although the Ministry of Agriculture, Fisheries and Rural Development is well acquainted with the situation, that has also received media coverage, it is shocking and shameful that a veterinary inspector from the Ministry or any one from the other competent institutions has not yet visited the farm to conduct an inspection and taken legal action. This extreme cruelty is a direct violation of the Animal Protection Act, Veterinary Law, a whole series of relevant regulations as well as Criminal Law, because this is conscious and long-term animal torture. 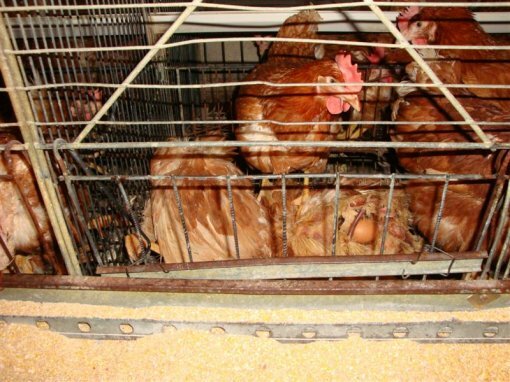 The question arises about the living conditions of animals in other farms in Croatia and how often inspectors visit those farms to ascertain whether laws and regulations are observed, since they have completely ignored obvious and previously known animal abuse. Animal Friends submit misdemeanour and criminal charges against those responsible at Poljoprerada, and ask for urgent action in order to prevent further torture and widespread deaths of hens and chickens as well as sanctions against all responsible persons. 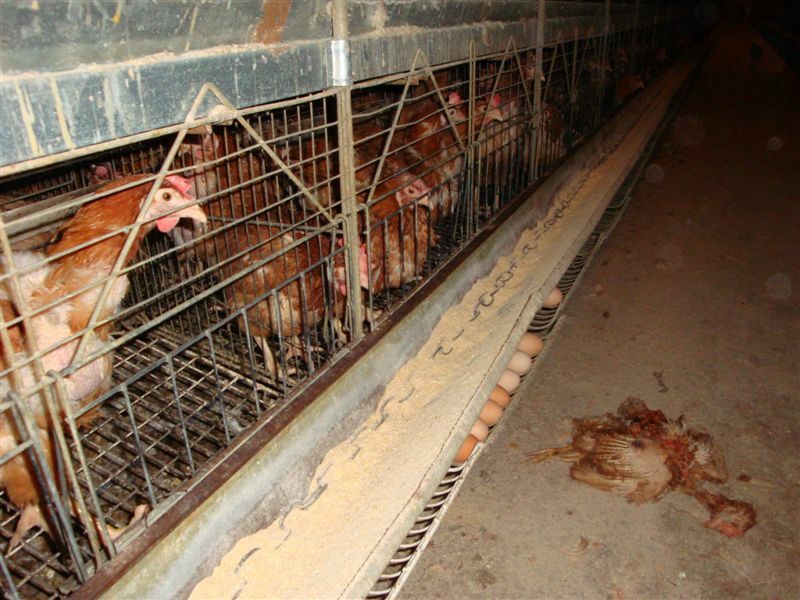 The so-called laying hens go through tremendous suffering even without being denied food, which Animal Friends has been warning about for years. We also stress that it is vital that Croatia bans battery farming of hens, as shameful evidence of animal torture for human arrogance and pursuit of profit. In addition to those changes in law, Animal Friends invites citizens to change their eating habits, which directly saves animals, protects the environment and their health. We expect state institutions to take this problem of Poljoprerada seriously and help the animals and the people. You can view the photo gallery of the hens here. You can download the high resolution video here.